Wowwww......The once a year time picnic game is on again.Thanks to Louise @ Month of Edible Celebrations for sharing such fun party with us. And I'm bringing in the letter 'G' this year. 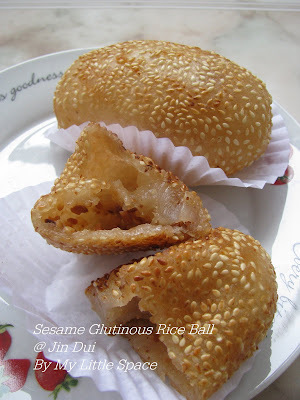 'G' for golden pillow hee ban or hakka steamed kuih. 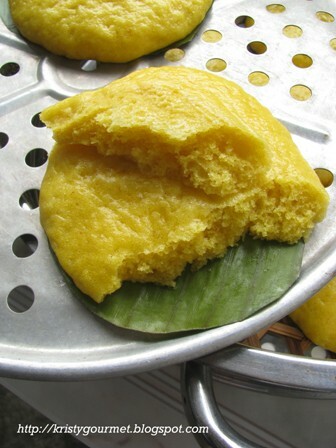 These golden hee ban are actually made of pumpkin which gave such incredible colour to the kuih ! 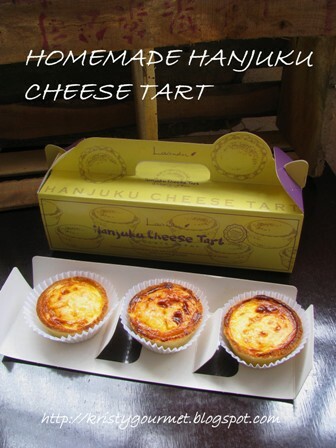 Guess, it's perfect for the picnic.I have other version & flavour of hee ban as well, you may check it here. So...not waiting for long, here's the arrangement of the letters. (1) combined both flour, sugar & yeast into a big bowl then mix well. 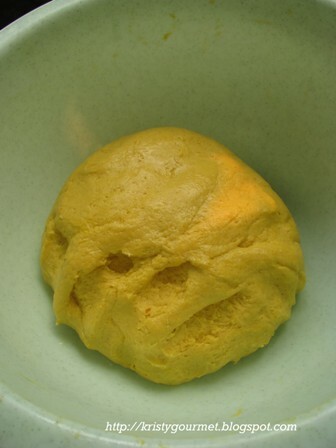 (2) stir in warm pumpkin puree and mix to combine. (3) now, slowly add in water and stir to form a sticky dough. (4) next, add in cooking oil & knead to combine. (5) set aside to rest for 30 mins or till double in size. (6) divide banana leaf into few portions, then slowly run the leaf directly over low fire before cutting them. This is to soften the leaf for easier cutting. This method is better than running them over boiling water. I found that the leaf turned softer. Finally, cut leaf into small portions and ready to use. (7) once the dough is ready, punch & knead dough to release air. Then divide dough by using an ice cream scope and place them onto working table. 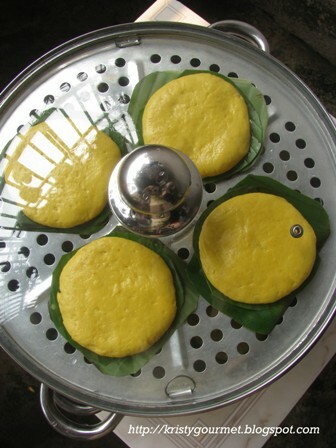 Roll dough into round shape and place them to banana leaf. Then flatten dough by pressing it. (8) now, again let to rest for 45-60 mins or till double in size or when nicely puff up. (9) finally, steam for 12 mins. 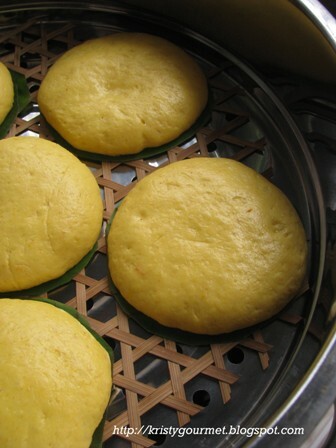 Once it's done, let them sit in the steamer for 5 mins with lid ajar before removing them. Taaa....Daaa.... 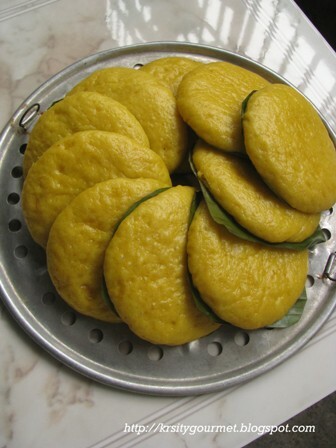 These hee ban look just the way my mother in law ordered. The traditional hakka hee ban even flatter than mine as she said so cause 'ban' meaning something flat in hakka dialect. 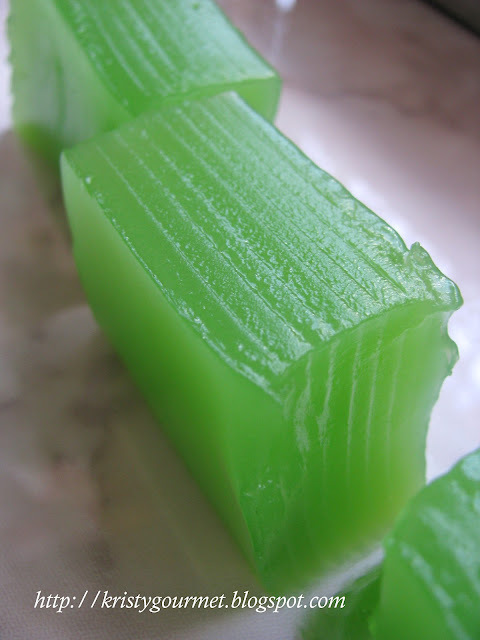 However, are you guys ready for these delicious steamed kuih. Don't forget to bring along extra containers to takeaway cause I'll be doing the same. haha.... >o< Enjoy & have fun everyone. Hi Kristy, that's my favorite and I never get tired of eating this. Yours look so nice and inviting. Love the golden colour. Taaa....Daaa....indeed Kristy! They look gorgeous. I have never even seen these golden pillows before but now thanks to you bringing them to the picnic I will be able to get a "taste" and that makes me sooooo Happy!!! Thank you so much for joining us on our picnic again, Kristy. Just wait until you see the deliciousness we will be stuffing our faces with this year. Holy goodness!!! These look soft, moist and so tasty! Would love to try these steamed buns. What a delicious treat - perfect picnic food. Have a great weekend, Kristy. make more, kristy! 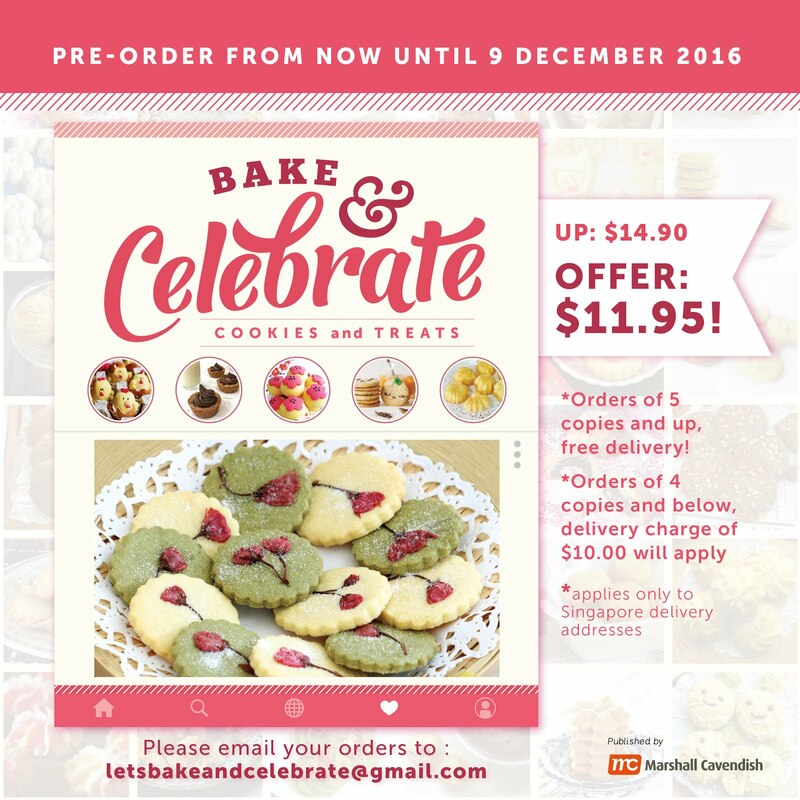 i also want to tapao some home!see you at the picnic! 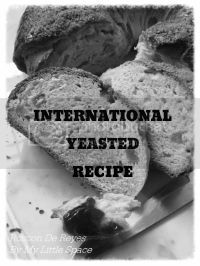 Wow, just when I was getting bored with my standard old yeast bread! I can't wait to get a taste at the picnic! Love yeast bread hot right out the oven ... this a gotta try , see you at the picnic with my plate in my hand. 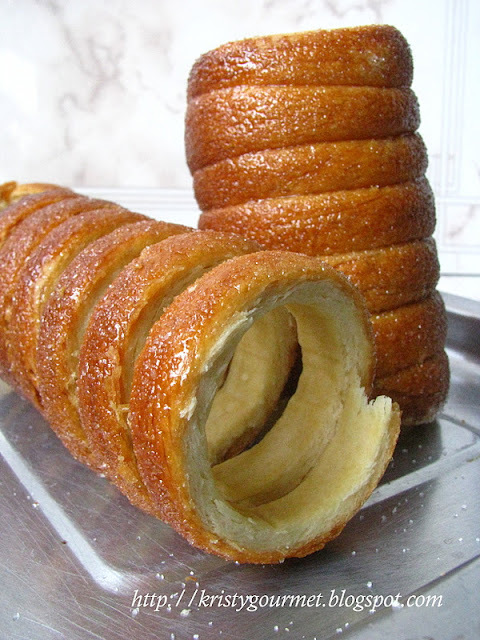 These look wonderfully delicious…I have never heard of them before, but I can’t wait to give them a try at the picnic! Save one for me! These are new to me but I want, at least, one. I have not been around for several months other than keeping my blog going. It is great to come and visit you. I have missed you. Wow. Those are very tempting! I've never cooked with banana leaf before, but I might have to give this a try. My household would love the flavor profile! 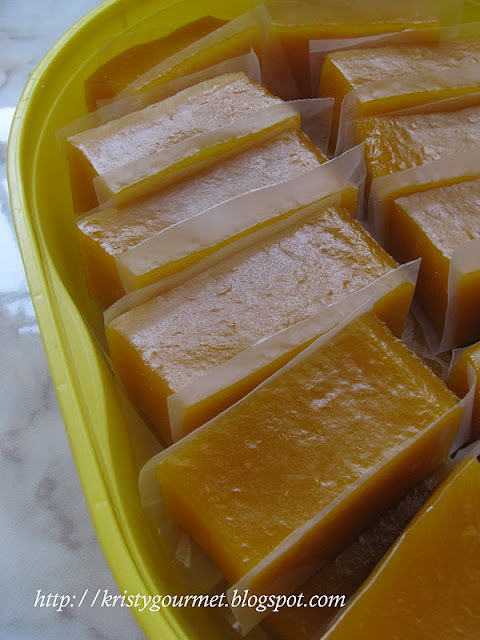 Lychee Agar-agar & A Giveaway !